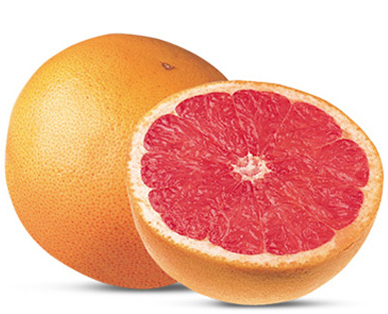 According to the U.S. Food and Drug Administration, grapefruit are free of fats, cholesterol and sodium. They are a good source of vitamin A and are high in fiber and vitamin C.
Grapefruit is an excellent source of vitamin C, which is an antioxidant that can help prevent cancer. The vitamin A found in grapefruit helps keep eyes and skin healthy. Studies have shown that eating grapefruit as part of a diet can help increase the amount of weight loss. Choose grapefruit with a red blushed skin that feels heavy for its size. Heavy fruit means lots of juice. “Tropical Beauty Marks,” or blemishes on the peel, are caused by gentle breezes in the orchards and do not affect the fruit inside.